This exquisite example of contemporary glassware by Japanese artist Niyoko Ikuta was displayed at the recent Collect Art Fair. 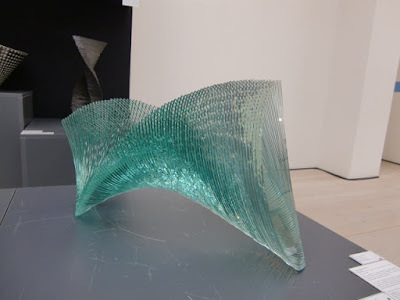 The work was formed by many layers of sheet glass adhered together to make the form of a wave. The cost of the piece was £8,075 inc transport and VAT, which The Friends agreed to fund in full. 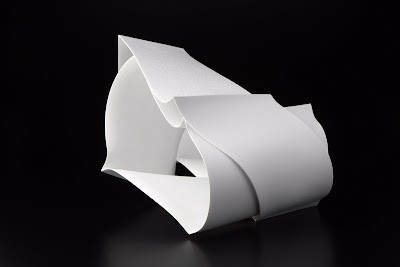 This stunning sculpture made of slip-cast porcelain was made by the Japanese ceramicist Nagae Shigemaze. At the same Collect Fair referred to above, The Art Fund agreed to gift this work to Bristol’s Collection. The Friends were not asked to contribute funds towards this acquisition.